We suggest you visit our location whenever you’re in the market for a new car because we have an extensive selection of new Honda vehicles. We also encourage you to reach out to us whenever you have a question about our new or pre-owned Honda cars, factory parts, financing, or services. Our goal isn’t just to be here when you want to buy or lease a Honda model; our goal is to be here for all of your automotive needs, which is why we’ve put together a list of questions that customers ask us the most. 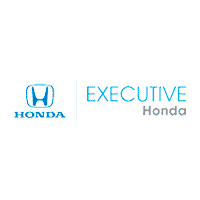 If you have a question that we didn’t answer, contact Executive Honda. Q: What’s the biggest benefit of buying a new automobile? A: While some people will argue that it’s the new car smell, most will agree that the biggest benefit of purchasing a new vehicle is its warranty. Q: What are some of the advantages to purchasing of pre-owned car? A: When you buy one of our pre-owned Honda cars, you’ll avoid the rapid depreciation that typically occurs in the first year a vehicle is owned. You’ll also normally pay less to insure and register your car. A: Very. Keeping up with your car’s maintenance schedule is the smartest thing you can do to preserve your vehicle’s resale value and preserve its working life. Make an appointment to bring your automobile into our Honda service center now. Q: I lost my owner’s manual. How can I tell when I’m supposed to bring my car in for service? A: Simple – call us! We’ll set up a routine maintenance schedule for you. Q: Do you sell Honda parts? A: We sure do. You can order genuine factory parts from our Honda parts department online or you can visit our Honda dealership to buy them. A: We’ll tell you what your trade is worth when you visit our Honda dealership. You can also get a Kelley Blue Book Instant Cash Offer for your trade on our website. Q: What should I bring to apply for a car loan? A: Proof of income, residency, and insurance. Contact a member of our finance department to learn more about loans. A: Our showroom is open 11 a.m. – 4 p.m. on Sundays. Our service department is not open on Sundays. A: Our dealership is the right choice because we provide the best customer service, we’re knowledgeable, and we’re trustworthy and caring.